SIGA LITHIUM LiFePO4 - The long-term investment in leisure time. With the lithium batteries of SIGA you receive the absolutely highest high-class battery. The SIGA LITHIUM Battery is the Ultimate High Performance solution for virtually any application and is perfect for powering your deep cycle systems. This Deep Cycle Battery has an internal microprocessor controlled battery management system (BMS) that monitors the key operational parameters during charging and discharging, such as voltages, currents and internal temperatures and that keeps the battery running at peak performance and protects the cells for thousands of cycles. Our lithium-ion batteries have a usable capacity of 99% compared to 50-60% for traditional lead-acid batteries]. 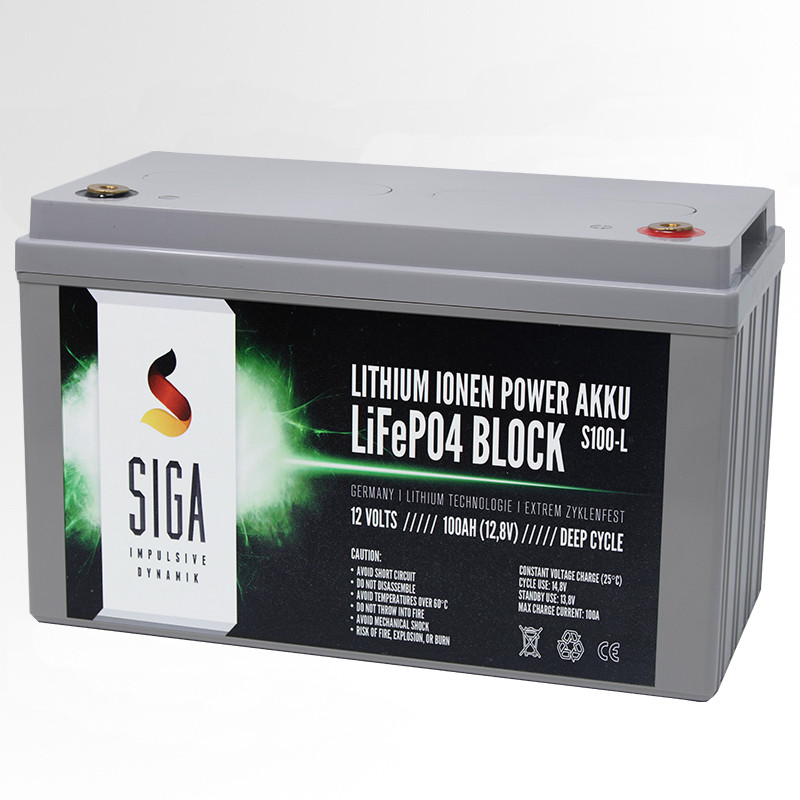 The SIGA LITHIUM is plug and play for any application that currently uses a lead acid, gel or agm battery.